Do you love brownies? How about chocolate chip cookies? 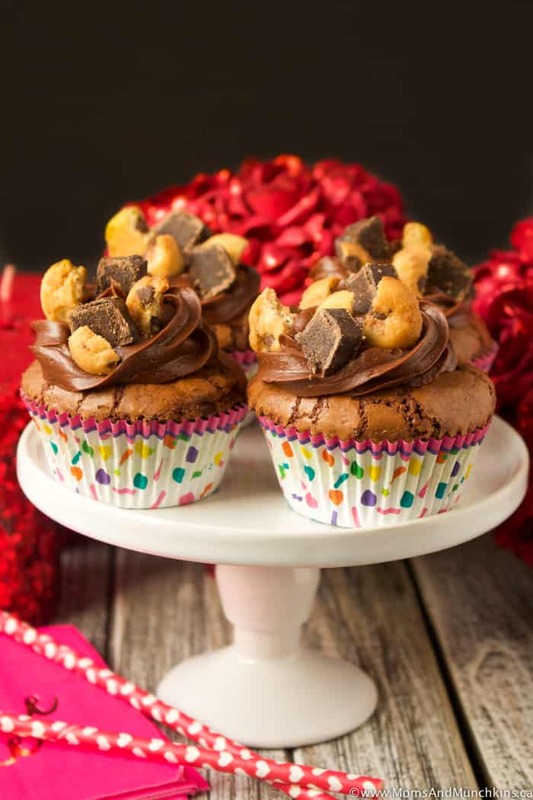 If so, then I bet you’ll love these Brookie Cupcakes! It’s a brownie base, chocolate chip cookie middle and brownie on the top. Although these are called “cupcakes”, they aren’t the typical cake-like texture. These are more of a chewy brownie in a cupcake wrapper. You can dress them up for a party by topping them with chocolate frosting, chopped brownies and broken cookie pieces. The longer you cook these, the crunchier they’ll be. For a chewy brownie-cookie texture, start with about 25 minutes of baking time. For the photos here, I baked them for 30 minutes and the top brownie layer was a bit on the crunchy side. The longer you cook these, the crunchier they'll be. For a chewy brownie-cookie texture, start with about 25 minutes of baking time. For the photos here, I baked them for 30 minutes and the top brownie layer was a bit on the crunchy side. 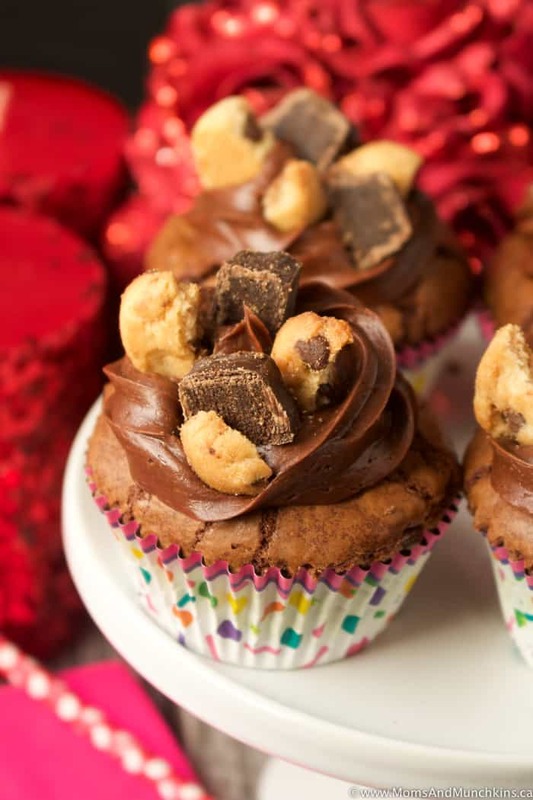 Note that although these are called "cupcakes", they will not be the cake texture like typical cupcakes - these are more like chewy brownies in a cupcake wrapper. Line 18 muffin tins with paper cupcake wrappers. Beat melted butter and brown sugar together until smooth. Add in egg and vanilla then beat just until blended. Add in flour and baking soda then beat until well mixed. Set the cookie dough aside for now. In a small bowl, melt butter with chocolate chips in the microwave. Check and stir at 30 second intervals because you don't want to overheat this. You want this melted but not hot. 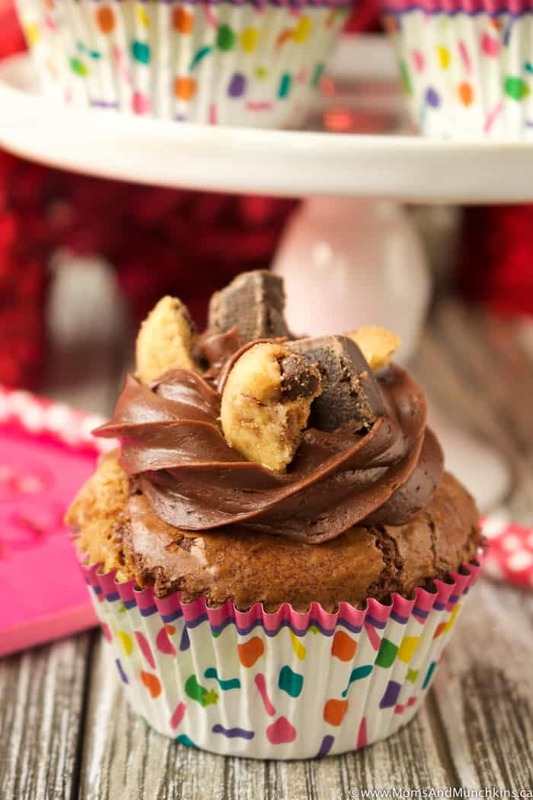 Put one tablespoon of brownie batter in the bottom of each cupcake wrapper. Scoop 2-tablespoon sizes of cookie dough into 18 balls. Flatten each ball slightly (to the size of the cupcake wrapper) and push this down on top of the brownie batter base in each wrapper. Top each unbaked cupcake with another tablespoon of brownie batter (so brownie batter on the bottom, cookie dough in the middle, then brownie batter on top). Bake 25-30 minutes. Keep in mind, 30 minutes will make them crispy so if you want chewy brookies, stick to 25-27 minutes of baking time. 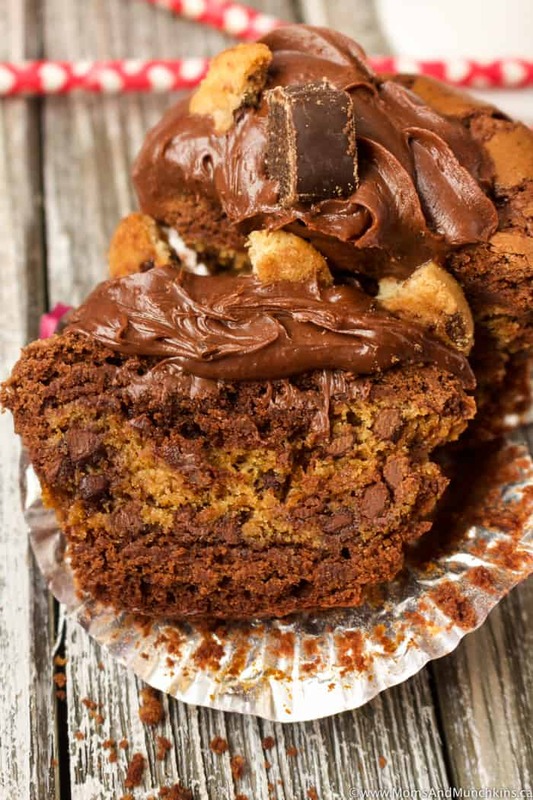 Let brookie cupcakes cool completely before removing them from baking tins. 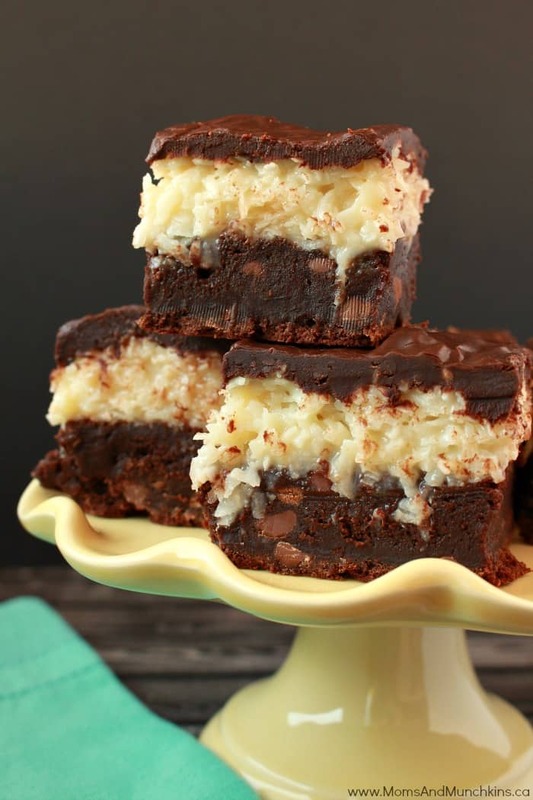 Chocolate Coconut Brownies – incredibly delicious! I’m still drooling over that chewy coconut filling. 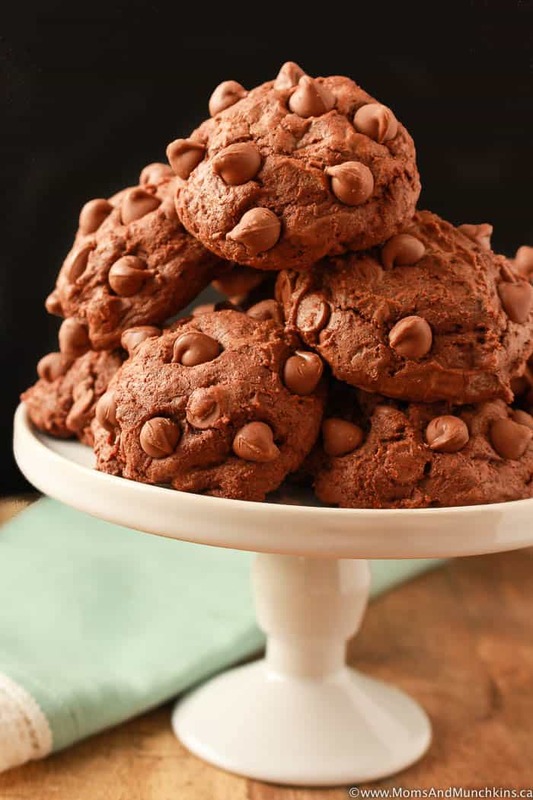 Brownie Cookies – pair this with a tall glass of cold milk for the ultimate midnight snack! Visit our Recipes page for even more delicious ideas. Stay update on the latest home entertaining ideas by following us on Facebook, Twitter, Instagram and Pinterest.